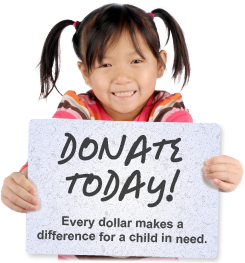 We Care Services for Children donations are tax deductible. Our 501 (c) (3) IRS Tax ID is 94-6050466. You have the power to give hope to future generations of children with special needs. By designating We Care Services for Children as a beneficiary of your estate, you will be leaving a gift that will assure that vulnerable children continue to receive the help they need. Types of gifts that may qualify are bequests, charitable trust, charitable gift annuity, gifts of retirement plans, life insurance, stock, etc. If you would like to consider We Care Services for Children as part of your Legacy and Estate Plan please consult your financial advisor or attorney.